A brand new program, the “Water Resource Restoration Sponsored Projects” will help cities, watershed organizations, landowners and others address local water quality problems. A total of $15 million will be available per year for watershed protection practices such as stream buffers, wetland restoration and green infrastructure. allocate moneys made available for purposes of water quality and flood mitigation in the watershed. 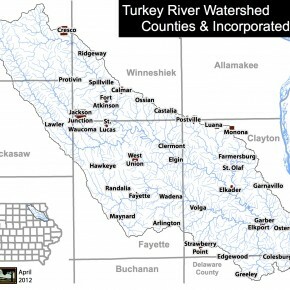 What is the Turkey River Watershed Management Authority? What is a Watershed Management Authority? Why create and participate in one? How is it set up? What may it do? And what is the current status of the Turkey River Watershed Management Authority? An overview. 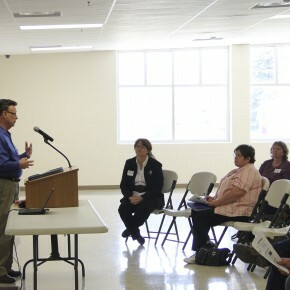 Thursday March 29th, 2012 from 1:00 to 3:00 p.m. at the Postville YMCA Community Room (Directions) The Turkey River Watershed was one of six watersheds in the state selected to establish a Turkey River Watershed Management Authority! This is a great honor and a useful tool; it also draws statewide attention to our watershed. A Turkey River Watershed Management Authority will be a formal partnership established through a 28E agreement between cities, counties and soil & water conservation districts. Its formation will enable us to do many things, including secure funding for watershed planning and project implementation to improve water quality and reduce flooding in the Turkey River Watershed. 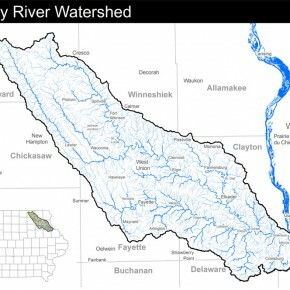 The first step in establishing a Turkey River Watershed Management Authority is to bring all the political jurisdictions in the watershed together. Although many County Soil and Water Conservation Districts, County Engineers and other partners have been participating in the TRW Alliance, we have never invited the cities in the Turkey River Watershed to participate in the discussion or planning. We have also never formalized our partnership. On Thursday March 29th, we will have a Turkey River Watershed Alliance meeting from 11:00 a.m. to 12:00 p.m. at the RC&D in Postville. This meeting will give us an opportunity to review our water monitoring protocol, funding and data. After a break for lunch we will be moving over to the Postville YMCA community room to have a Turkey River Watershed Management Authority meeting. 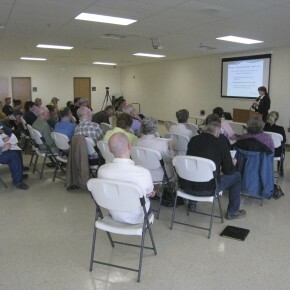 Seven counties, thirty-seven incorporated cities, and each of the Soil and Water Conservation Districts in the watershed will be invited to attend this afternoon meeting from 1:00 to 3:00 p.m. At this meeting you will find out more about what a Watershed Management Authority is and how you can participate.